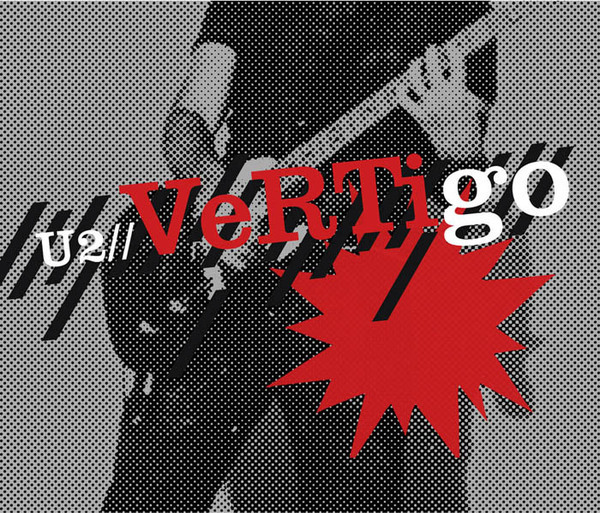 Vertigo, released in November 2004, was the first single taken from 'How To Dismantle An Atomic Bomb'. It was the year when digital download sales overtook those of physical sales in the UK and despite being released at the end of the year, Vertigo became the best-selling track. It was also released in time to be nominated at the 2005 Grammy Awards. It was nominated - and won - in three categories : Best Rock Performance By a Duo or Group With Vocal, Best Rock Song and Best Short Form Music Video. The worldwide success of the track was accelerated by a partnership with Apple, the song featuring on a global TV promotion for the iPod. The band then released a customised 'U2 iPod' in the black and red look of the album artwork which featured 'The Complete U2', an iTunes digital collection of 446 tracks, including previously unreleased songs and rarities. Vertigo's success at the 2005 Grammy's was followed by induction into the Rock'n'Roll Hall of Fame - with Bruce Springsteen making a perfectly judged speech.